We're proud to offer the finest EPDM Roofing sheet (ethylene propylene diene monomer rubber) rubber roofing materials, EPDM supplies, EPDM adhesives and EPDM accessories from Weatherbond (division of Carlisle Construction Materials), Versico and other top suppliers. These EPDM Roofing products are engineered for the toughest applications including commercial buildings, RV's, pond liners, rooftop gardens, decks, residential, pond liners, landscaping and more. We specialize in complete roof repair kits for all types of EPDM Repairs and replacement or repair of EPDM roofs including RV rubber roofs, commercial roofs, patios, etc. For DIY we have complete installation instructions. Most popular roofing membrane is the Heavy duty 60 mil White EPDM with Flame Retardant -- the strongest, longest lasting EPDM membrane in the market. Its now available custom-cut by the foot. It features a limited lifetime warranty from Weatherbond and is Energy Star and LEEDS certified! Recognized Contractor Certifications are available which enable contractors to offer both labor and materials warranties. Our EPDM installation guide provides a step by step DIY installation details or check out the RV roof replacement guide. Reliable SEAMS are easily made to create larger sizes. EPDM roofing membrane repairs or coating can be made by several methods, depending on the repair needed. See our repair section below. NEW: Our EPDM Roof Materials Estimator and RV RE-Roof Materials Estimator provide a quick calculation for how much you'll need to order. All accessories and materials are fully compatible. We carry a full line of EPDM accessories including EPDM bonding adhesives, EPDM lap-seam tapes, EPDM Seam Cover tapes, Seam tapes, perimeter strips, EPDM Primers, T-joint covers, inside/outside corners, EPDM pipe flashings and termination bar. We can create custom repair "Kits" for any application. Note: All EPDM roofing can have factory lap-seams. These are a normal part of the manufacturing process. Seams are 1-2" wide overlap areas which are factory hot-fused. We are unable to guarantee that any single pieces will not have these seams. These are premium repair kits with the best products available! Just add to cart and the kit contents can be edited as needed for your project. See the RV RE-Roof Materials Estimator and Large Roof Estimator for more exact kits and materials lists. 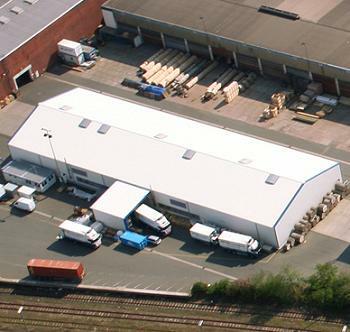 Yes, we can quote custom kits and very large sized roofs. Email your details to sales@bestmaterials.com, or use the Materials Estimator. (for Southern Calif SCAQMD, Connecticut, Delaware, DC, Illinois, Maine,	Maryland, Massachusetts, New Hampshire, New Jersey, New York, Ohio, Pennsylvania, Rhode Island, Vermont, Virginia (several northern counties). 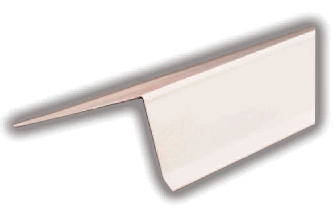 EPDM Uncured Flashings (6-12" available in white black). Email us. Uncured is used to wrap corners and odd details. DoubleStick (double sided super-adhesive for repairs, membrane and seams adhesion). Can use without a primer. EPDM Adhesive, Water Based - Compatible with all substrates. EPDM ROOF COATING: The best EPDM coating depends on your application and environment. We have products for roofs which get light foot traffic, products for enhanced heat reflection, and such. RoofMate HT is most popular. All repairs should be made before coatings are applied. EPDM Cleaning AND Priming using an EPDM primer is a must, before applying any coating to assure good long-term adhesion, regardless of manufactures claims. Primer is SCRUBBED into the surface, as per manufacturers instructions. Highly recommended: Create Double Overlap Seam. on the outside surface along the exposed seam, clean and apply EPDM Primer and apply a secondary Coverstrip layer, like this. SEAMS REPAIRS: EPDM seam failures are a common first point of aging related wear out. Old seams can be repaired and reinforced to greatly extend the life of a EPDM roof. First clean the EPDM surfaces to be seamed; apply EPDM Primer with a scotch brite scrub pad and gloves, scrubbing primer into both surfaces; let primer dry, about 10 minutes; then apply Doublestick Seam Tape in between the overlapping layers following seam tape instructions. THEN on the outside surface along the exposed seam, clean and apply EPDM Primer and apply a secondary Coverstrip layer. EPDM Coatings are applied last, over all repairs. EPDM primer should be used under all coatings. EPDM CLEANING: The can be accomplished several methods, depending on the type of cleaning needed. The objective is to remove all surfaces contaminate and create a fresh surfaces. Burnishing with a plastic scrub pad is quick and effective. EternaClean is also effective. For very large areas, scrubbing with a mixture of TSP and bleach is used by some. Regardless, the final surface must be free of dirt and not have any powder-like residues. Follow cleaning with an EPDM Primer. Special EPDM cleaners are available which etch away a layer EPDM. These are strong materials which can harm other surfaces. Email us for more information. EPDM MEMBRANE ADHESION: First clean surfaces to be bonded. Stir well, then apply adhesive to both surfaces with roller, and allow solvent to flash off until tacky. 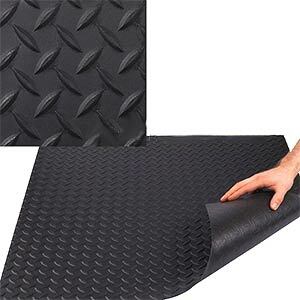 Then set carefully roll EPDM adhesive coated membrane into adhesive, rolling out any bubbles as you go. Detail Instructions. EPDM adhesives included water based (VOC / solvent free/ non-flammable), solvent based (greater adhesion), and M1 Sealants (for smaller repairs. Smaller areas and repairs can also use Eternabond Doublestick. EPDM TEAR OR BUBBLE REPAIRS: Email us at sales@bestmaterials.com with a description of your repair problem for a more detailed recommendation. Use M1 sealant around round and irregular penetrations. Replace the EPDM roofing membrane where needed. HOW CAN I TELL ITS EPDM? White EPDM used on RVs is white on the outside and black on the bottom. It bends and forms EASILY (and thus will wrap edges easy). A few newer motor-homes have used TPO or PVC membrane. This will be very stiff. TPO and PVC can also be melted and seams are welded, not glued. Sometimes TPO has an additional black layer on the back which has reinforcement fabric embedded in it. EPDM is not generally produced with a reinforcement. EPDM roofing membrane (rubber roofing) is a high performance synthetic rubber (elastomeric polymer) synthesized from ethylene, propylene and a small amount of diene monomer, compounded with carbon black, processing oils and various cross-linking and stabilizing agents. EPDM roofing has been used for over 45 years, with more than 600,000 warranted roof installations and more than 25 billion square feet. Annually, EPDM accounts for over 1 billion square feet of new roof coverings in the United States, and is still the most frequently used roofing material in the marketplace. 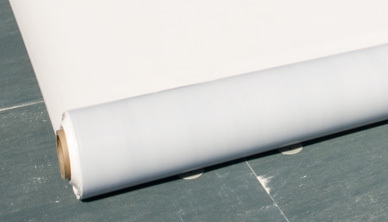 White EPDM has been installed on RV's since the early 1980's. Providing flexibility, low maintenance, ease of repair, clean appearance, noise insulation, and temperature insulation. White EPDM roofing membrane is now standard on 3 out of 4 new RV's. Now the energy efficiency of white EPDM makes it ideal for house boat roofs, mobile home roofs, and residential flat or low pitched house roofs. ICC-ES Evaluation Report Testing of our EPDM Materials. Superior resistance to extreme heat and fire. 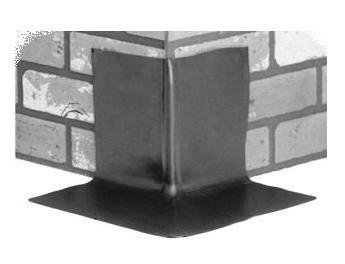 Our EPDM is specially formulated to inhibit the spread of flames. It meets or exceeds code criteria for fire retardant roofing membranes and UL Class “A”Âtesting standards. ROOF TOP GARDENS: EPDM Roofing Systems - We have Roof Garden Systems available with a variety of waterproofing options and a full line of accessories to insure a high performance system. This includes a range of membranes such as the 60-mil EPDM and TPO which are ideal for the Ultra Extensive Roof Gardens (shallow) with 15-20 life expectations. 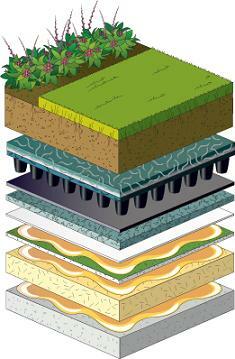 Standard Roof gardens in 4" to 8" of depth are classified as a Medium Assembly (Extensive) using 75-mil EPDM or 72-mil TPO membranes 10-15 year lifecycles, and 90-mil EPDM or 80-mil TPO membranes for 20 years. For the Intensive Roof Gardens (deep), the membrane options include 90-mil EPDM, 80-mil TPO and the 115 through 145-mil FleeceBACK membranes. Also available is an option mop down the AFX FleeceBACK EPDM membranes over two plies of base felts to provide a durable hybrid system. Rooftop Garden Specifications and Construction (very large PDF file) provides more information.